Monday - Thursday, 7:00 a.m. - 9:00 p.m.
Friday, 7:00 a.m. - 6:00 p.m. Roof: Roof coverings, gutters, downspouts, vents, flashing, skylights, chimneys, roof penetrations, and the general structure of the roof. Attic, Insulation, Ventilation: Insulation and ventilation of unfinished spaces, including attics, crawl spaces, foundation areas, and exhaust systems. Exterior: Siding, windows, exterior doors, flashing & trim, walkways, driveways, stairs, patios & decks, and drainage. Basement, Foundation, Crawlspace, Structure: Foundation movement, cracks, structural concerns, and indications of water penetration. Cooling: Cooling system, location of thermostat, energy source and cooling method. Heating: Heating system, location of thermostat, energy source and heating method. Fireplace: Visible portion of the fireplace and chimneys, lintels, damper doors, and cleanout doors and frames. Plumbing: Main water and fuel supply shut-off valves, water heater, Interior water supply, toilets, sinks, tubs, showers, drain waste and vent systems. Electrical: Service drop, overhead service conductors, service head and mast, main service disconnect, panelboards, grounding switches, light fixtures, receptacles deemed to be AFCI & GFCI, and the presence of smoke alarms and carbon monoxide detectors. Doors, Windows, Interior: Representative number of doors & windows, floors, walls, ceilings, stairs, railings, garage door and openers. *Areas not attached to the house, such as a swimming pool or detached garage, fences, etc., are not included in a standard home inspection. However, these items can be inspected for an additional charge. We use state-of-the-art inspection software that allows us to complete the inspection in a quick, yet thorough, manner. Depending on the structure size and number of deficiencies noted, the report is typically finalized and emailed to you on the same day as the inspection. The reports are easy to read, simple to navigate, and can be printed in PDF format with the click of a button. As the buyer, HomeScan works for you! We encourage you to either accompany us throughout the entire home inspection, or at least be on site near the end of the inspection, so we can discuss with you what components of the home might require closer attention. This way, you'll have a better idea of the condition of the home and be more informed when the final report is submitted to you. 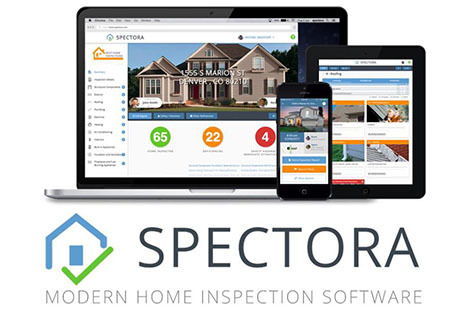 HomeScan sees the home inspection process as an educational opportunity, especially for first time home buyers.